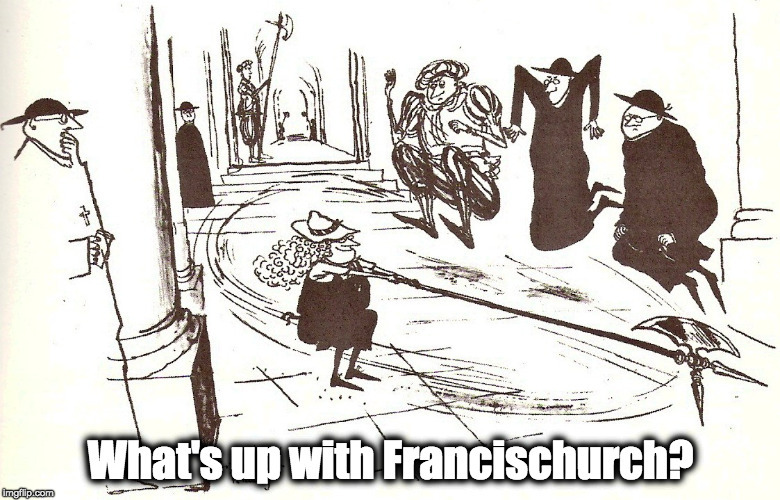 Volunteers wanted: traditional breviaries for nuns – What's Up With Francis-Church? MONDAY UPDATE: Baronius Press doesn’t talk to people on the phone. I’ve sent the inquiry email and now we wait. Ugh. To those who have contacted me in the last 18 hours, thank you for the offers. 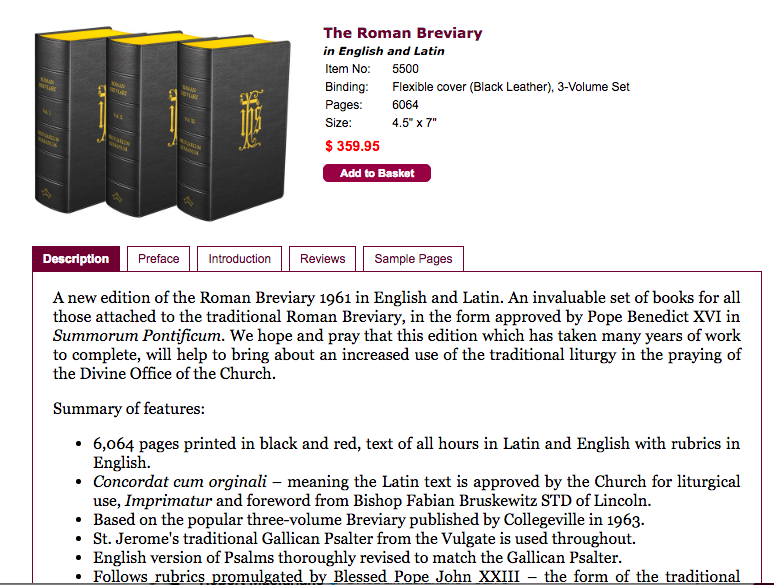 We’re on hold until we can sort out that there actually are any Roman Breviaries to buy. To those who have said they want to go in together with others for group-purchases, I’m going to be sorting through all the emails and organising y’all into clusters. A group email will go out as soon as I hear back from the company. To anyone tempted to send along a single-volume of the 3-volume set they have lying around, or who have an old one they don’t use, please hold off until we can sort things out. It’s vitally important that the sisters all have exactly the same books since these will be used in perpetuity for their choral Divine Office, to which they are canonically obligated by their vows. This means that they all have to have exactly the same books. If you have a complete recent edition set that you want to donate – that is identical in every respect – including things like page numbering – then certainly send me a note and I’ll give you the shipping address. But older editions could be problematic and I’m afraid we can’t take a single volume out of the set since it would be too difficult to locate the missing volumes. Let’s keep this as simple as possible, thanks. The good news is that we definitely have enough people standing by – between group and individual purchase and donations – to complete the project. The only issue now is availability; waiting for Baronius Press to get back to me. The company has two locations, one in the US and one in the UK. The UK website says they’re out of stock but the US website doesn’t. But websites are pretty unreliable, so I ask everyone to hold off doing anything until I’ve been able to communicate with the company. Finally, please DO NOT send money to me personally for this project. I don’t have any means to create or keep a separate account just for this, and don’t want there to be any mix-up of targeted funds. Just be patient. We’ll sort it out and get the thing finished. I’ve got a bunch of people contacting me standing by to be organised into groups to purchase sets, but I thought it would be a good idea to take a day off (for Sunday) but also recommence on Monday because of people being more available. So, as of now (Nine pm GMT+1) I think we’ve got the full order covered with buyers. It was starting to get pretty confusing, so I was going to sit down and sort you all into groups tomorrow in the morning here so it can be all set to go when it’s morning over there. But this problem might throw a bit of a spanner into the works. I think it’d be pretty cool if this little campaign has totally drained the stock of the company, but would also be kind of a pain. So, everyone stand by for 24 hours or so while I get in touch with them to see what’s what. And thanks again. These “Solve someone’s problem for them” campaigns are always really cheering and uplifting. People really do want to help. So, that’s a pretty good day. So far, four sets have been purchased new, two by groups getting together and pooling, and two straight up from individuals, + one more – unused – donated from a private collection. Five all together in just a few hours. UPDATE: As always, our awesome readers have already started responding. I’m going to be making a separate file of emails related to the Breviaries-for-nuns campaign so that people who can’t afford the cost of a full new set but want to contribute in groups can be put together. This idea came from Alert Reader Rachel who has offered about half the price of a set. If someone can match that we’ll be on our way to the first purchase. Remember those nuns I mentioned a few months ago who had contacted me asking for materials about Traditional Catholicism? Well, we managed to fill the bill within hours of posting the request. By this time over thirty excellent books have been sent to the monastery and the nuns are zooming up that Traddie learning curve. Now they’re ready for the next stage. 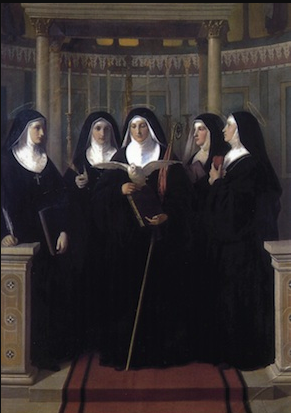 I’ve had a message from a friend of the monastery, who has undertaken to teach the sisters to sing the Chant for their Divine Office, asking if there are some benefactors out there who might be willing to buy breviaries for the sisters. 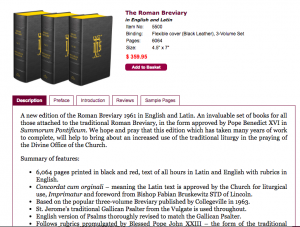 They need The Roman Breviary produced by Baronius Press. Now I know that “spare” and even second-hand copies of these books are as rare as hens’ teeth, but my first question for y’all is whether anyone might have one they can give away. This would be a donation to the best possible cause, the singing of the Office by a monastery of cloistered nuns who intercede and make reparation for sin in what is perhaps the greatest time of crisis we have ever known. A gift like this will give benefits in eternity that would make all earthly glory shrink to nothing in comparison. Since these books are exceedingly rare, would there be any readers out there in TraddieLand who are able to spring for a new set? I think the best way to do it, given the expense, is to have volunteers who can afford it spring for one set each. Let me know by email if you can help: hjmwhite66 at yahoo dot ca.